Is Tutoring for Your Child? Tutoring is meant to help any student. However, some children need more help than others do. Is your child one of them? We all learn in different ways and struggle with different things. While some children thrive in academic environments, others bloom in artistic areas. Some students find school subjects harder, and they need some extra help. If your child shows these signs, they probably need a tutor so they can thrive academically as well. Lack of motivation: If your child is unmotivated to work on their school assignments or if they don't show interest in anything school related, it might be because they don't understand something in class and they're choosing to give up. A tutor can help your unmotivated young one. Learning disorder: For children with ADH,D keeping up with their classmates' pace is hard work. Tutoring can help them catch up and learn at their own rhythm. Homework struggles: The reason why your child doesn't want to do their homework might be that they don't understand the material. While you can help them complete their assignments, a tutor can help them truly understand the material. Their efforts aren't enough: If your child has been working extra hard to raise their grades, but their efforts aren't showing, it's possible that they don't know how to study correctly. 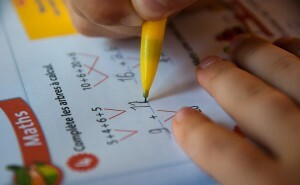 Tutoring can help them develop efficient studying techniques. If your child shows any of these signs and you want to help them do better in class, take them to The Tutoring Center, Bear. Here you'll find a variety of tutoring programs to suit your child's needs. Call The Tutoring Center, Bear DE at 302-419-4824 to learn all about them.